Digitization funded by USDE Title II-C Grant, 1996. Preserving a Heritage Collection of Agricultural Literature. 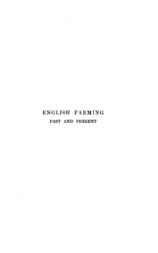 Title selected from the series Literature of the agricultural sciences for the Core historical literature of agriculture, Soil science.